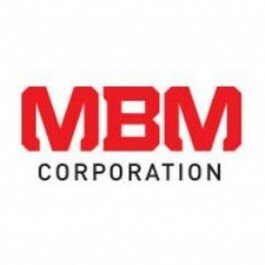 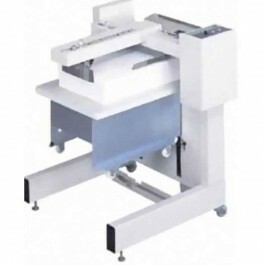 The MBM 0751 FC 10 Twin Tower System Automatic 20-Bin Friction Collating System saves time and money. 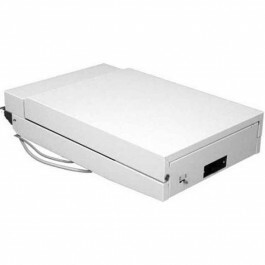 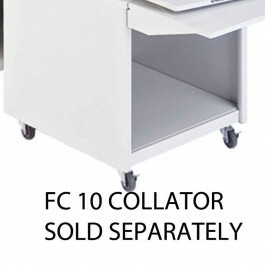 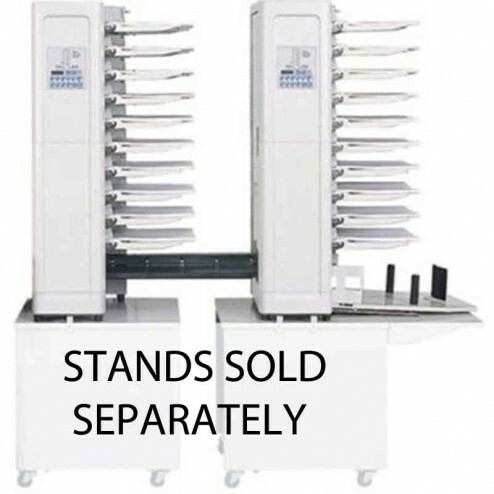 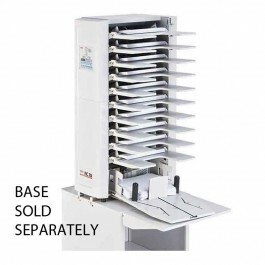 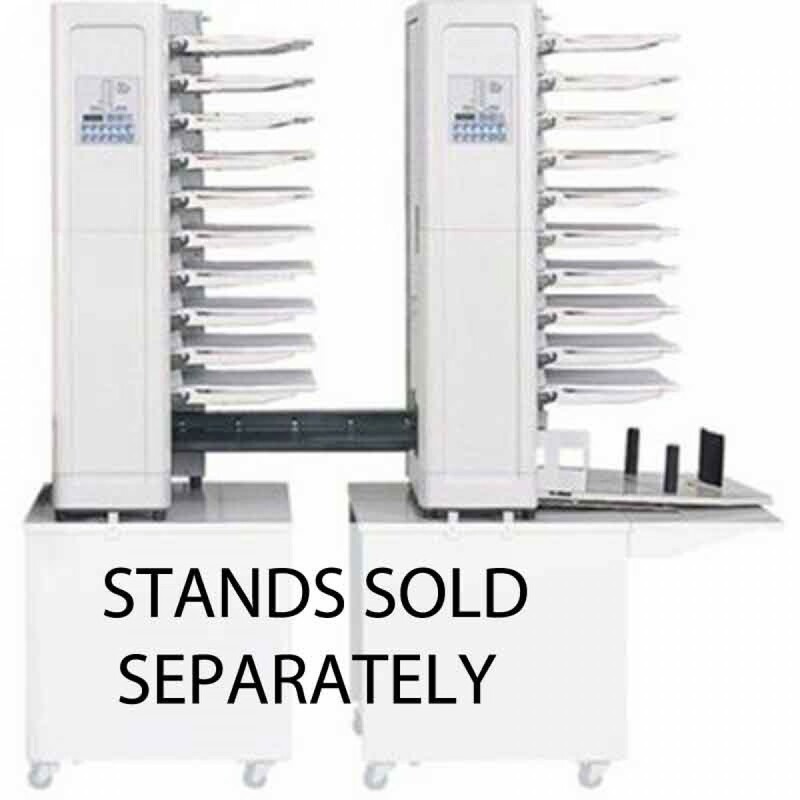 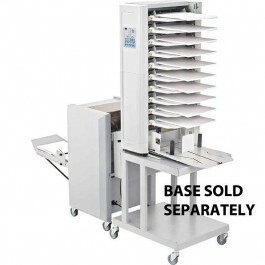 Collates variety of paper stocks and weights at speeds up to 3,600 sets per hour* 275 sheet bin capacity* collator units can be used in tandem or separately while connected touch-button control panel with LED 4 digit counter simplifies set-up and operation programming modes include preset batch, insertion, and an alternate bin mode for continuous production adjustable stacking table for straight or criss-cross stacking self-centering feed guides eliminate the need to reposition on-line bookletmakers for different size stock adjustable feed and separator pressures on each bin bin empty sensor extra large, detachable feed trays optional bases with casters, and high capacity stacker, necessary when using system off-line UL and C UL approved. 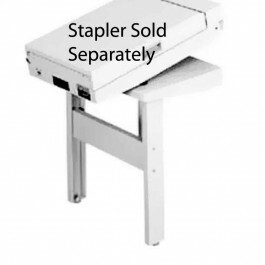 Paper size - 3 3/4" x 5 7/8" to 12 7/8" x 18 1/2"
Paper weight	- 20 to 100 lbs.